Impressive Black And Gold Decor Ideas For Luxury Bathrooms – Black and gold is a combination of shades that are timeless and always recall the most luxury ambiances. If you are looking for bathroom inspirations with sophisticated and posh interior design, Luxury Bathrooms suggests you a set of black and gold bathroom furniture and bathroom accessories that will surely nail it. Do you like this luxury bathroom decoration? So take a look at our following black and gold suggestions and see how you can get the same luxury bathroom. Koi washbasin from Maison Valentina | KOI carp is a recurring symbol of Japanese culture, highly appreciated by its decorative purposes, not only in water gardens but also in Irezumi practice or, most commonly, in tattoos. Its natural color mutations reveal their capacity to adapt, just like the KOI wash basin that you can use to create a better sense of space division in your ambiances. The KOI scales that compose the panels of the wash basin shine and reflect – on its brass surface – the sun caught throughout the clear water. KOI and the Japanese word for love or affection are homophones, making the carp also a symbol of love and friendship. Buy now! Blaze mirror from Maison Valentina | Blaze Mirror reflects a very bright light and a flame of passion with its golden touch. With this mirror we can blaze our own trails and overcome any challenges that come our way. Little hobnails are engraved along the golden lines of this beautiful mirror. As an exquisite design piece, Blaze Mirror will magnetize the attentions in any bathroom by giving it a luxury touch. Buy now! Prisma stool from Luxxu | The Prisma stool is a symphony of meticulous proportions based on a simple square black velvet, created with the same empowering and passionate aesthetics in its design. The unified softness conceptions of well-defined geometric shapes end in a gold plated surplice. This luxury item adapts perfectly to any ambiance or style. Buy now! 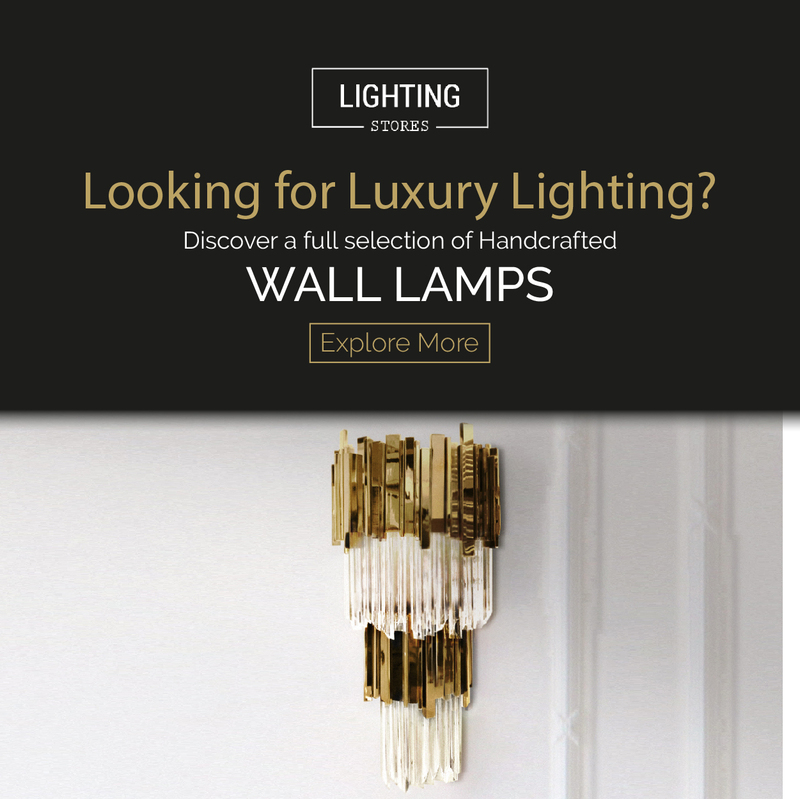 Phong wall lamp from Brabbu | Made in gold plated finish, PHONG Wall Light is a mysterious design piece brought to you from Vietnam’s Phong Nha caves, where only 20 of the caves out of the 300 were explored. PHONG hides its beauty like these caves, only to be revealed when its light is projected. Ideal to an intimate scenery, this piece will create an inviting classy ambiance that will progressively reveal itself. Buy now! 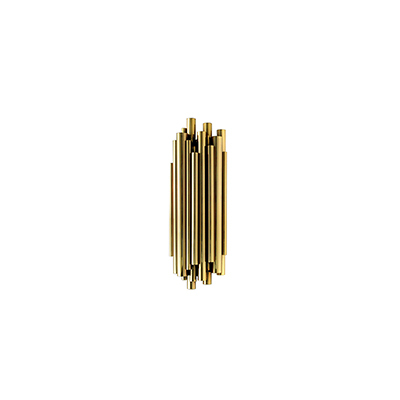 Eden towel rack from Maison Valentina | Eden is inspired by the mystic behind the name. This towel rack represents a part of the tree of knowledge and the tale of the birth of desire. Fully made of polished casted brass, with a delicately engraved top exposing the heart of a golden tree to the very heart of a home. A golden touch to your bathroom. Buy now! Follow Luxury Bathroom and subscribe our Newsletter.